Mexico’s Energy Ministry says it may decide within the next 12 months whether to seek permits to build two new full-size nuclear reactors next door to the two that have been in revenue service since 1989 and 1994 respectively. Both units are 800 MW GE BWRs. The Deputy Energy Minister for Electricity, Cesar Hernandez, told the Reuters wire service on 9/24 that internal studies are being developed that will help the agency decide whether to move forward with the plan. The country has relied heavily on natural gas over the years for electricity generation. According to the World Nuclear Association, plans to build additional nuclear reactors have been under development since 2010. 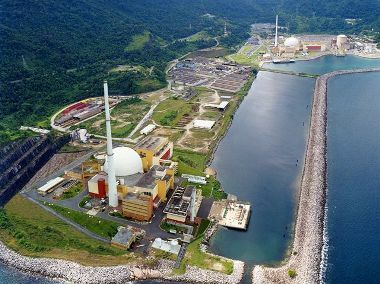 The government’s studies urge it to look past low gas prices to consider building two more reactors at Laguna Verde as a first step in expanding nuclear capacity by 2026. If built the units would be approximately 1000 MW with about 160 MW of the electricity from each reactor powering reverse osmosis sea water desalinization plants. Hernandez did not provide Reuters with an estimate of the cost of the new reactors nor did he provide an estimate of what the electricity from the plants would cost to users. The government agency in charge of electricity charges different subsidized rates for residential, industrial, and agricultural customers. Rates for residential users are low, even by US standards, at an average of $0.055/kWh. EIA data report that average U.S. residential power rates are at $0.126/kWh or about 57% higher than the government-subsidized rate in Mexico. At current “overnight”prices of a minimum of $4,000 on average globally, the new reactors could cost at least $4 billion each assuming construction costs are lower in Mexico. The units could cost more depending on when construction breaks ground and which vendor supplies the major long lead time components. The new reactors would be built and operated by the Federal Electricity Commission of Mexico. In terms of licensing, the National Commission on Nuclear Safety and Safeguards (CNSNS) is a semi-autonomous body under the authority of the Ministry of Energy. It is responsible for regulations and safety for nuclear installations. CNSNS is also responsible for site evaluations and licenses for new nuclear reactors. In the case of Laguna Verde, the site is already in use as a nuclear power station. Nuclear energy accounts for about 4.6% of electricity generation in Mexico according to the OECD/NEA. Two new units would double that figure. Earlier this year, the capacity of the existing Laguna Verde reactors was upgraded by about 16% to 1,620 MWe. The Brazilian nuclear power sector, which has been rocked by a huge corruption scandal, has cancelled plans to allow private investors to take equity positions in new nuclear power plants. 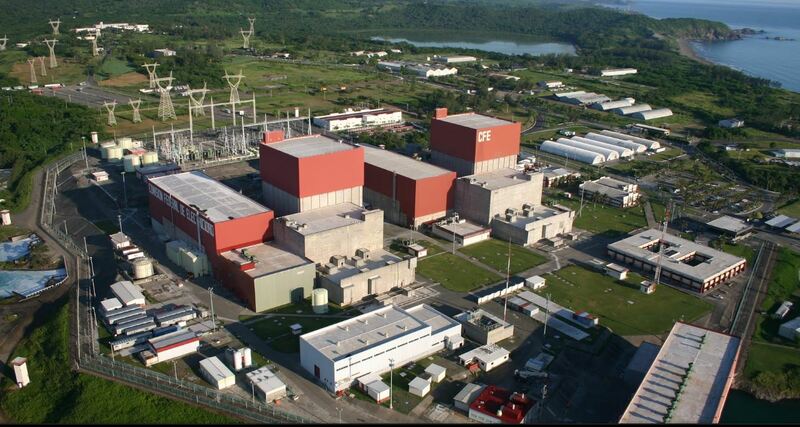 Electronuclear, which builds and operates Brazil’s nuclear reactors, had asked the government for permission to allow private companies to build new reactors. The government has plans on the drawing boards, but no commitments, to build four new reactors by 2030. Maurico Tolmasquim, the head of the Brazilian government’s energy planning agency, told wire services there were too many opportunities for “political snags” to allow the plan to go forward at this time. In Brazil Angra 3, a 1250 MW PWR has been under construction since 1984 with several multi-year stoppages due to a lack of financing. In 2010 construction was restarted and the reactor is expected to be completed in December 2015 at a cost of $7.6 billion. In July 2015 the arrest of Othon Luiz Pinheiro da Silva, a retired admiral, and the head of Brazil’s nuclear energy utility, on corruption charges cut short plans by that organization to build at least four more reactors. Mr. da Silve was arrested for allegedly taking 4.5 million reais ($1.35 million) in bribes from engineering firms working on the Angra 3 nuclear power plant. Law enforcement investigations of corruption in Petrobras, the state-owned Brazilian oil exploration and production company, uncovered allegations of money laundering by da Silva. The CEO of Brazil’s largest construction company, Marcelo Odebrecht, was also arrested in the growing bribery case. Reuters reported that “The arrest is a tragedy for the industry,” said Luiz Pinguelli Rosa, a Brazilian nuclear physicist and Eletrobras’ chief executive from 2003 to 2005. It is unlikely the government will loosen the reins on financing new nuclear reactors when its own officials have become mired in a huge bribery scandal.